There is nothing like the excitement that comes with discovering a treasure: the initial sight and smell of the antique shop, digging through the piles of historic pieces, and then uncovering just the right item. Whether a first edition book, a piece of Georgian furniture, or that rare toy you remember playing with as a child, antiques have a way of bringing cherished memories and emotions right to the surface. Below are 30 great small towns for antique lovers. They come from all over the country, but almost all of them are towns in old, historic regions where pieces from the past are looked upon like the Holy Grail. While some towns are better known for a particular specialty or an antiques festival or fair, all of the following towns have a downtown or specific area with a cluster of antique shops perfect for window shopping and searching for treasures. New Jersey is home to a number of charming, small antiquing towns, one of which is Somerville. For the best selection, head straight to Somerville’s downtown, where multiple antique stores stretch along the main street. A full day can be spent wandering from store to store, but a favorite is the Somerville Antiques Center, home to dozens of individual sellers. Here, you can find whatever you may be looking for, from vintage clothes and handbags, to furniture from nearly every major era. Die-hard antique hunters can also skip the antique store and head straight to estate sales that are common in the area. Located smack-dab in the middle of Michigan Amish country, Allen has fondly been called the “Antique Capital of the World.” Allen’s myriad antique shops and malls are all located on a stretch of back road, and it may take two days to see it all. Some of the antique malls are so big you really won’t need anyone else to convince you to stop in. But one must-do is Preston’s Antique Gaslight Village. After looking through the antiques in the Victorian Era home, step back in time and wander one or two of the 20 other Victorian buildings 0on the property. Other top choices include The Livery (stop by around the holidays for a unique Christmas open house), the Allen Antique Barn, Hog Creek Antique Mall, and the Allen Antique Mall. This small Pennsylvania town that sounds like a Star Wars destination makes for a great day trip from New York City for antique lovers. While such a convenient proximity could also mean New York City prices, savvy antique lovers are sure to find a deal. For vintage clothing and jewelry, be sure to check out both Love Saves the Day and Nightbird Vintage. New Hope is also a walking bridge away from Lambertville, New Jersey, another small town with a great antiquing reputation. While in Lambertville, be sure to pop into Mill Crest Vintage, Panoply Books, and The People’s Store. Located only two hours north of New York City, the small town of Millerton is a favorite among New York state antique lovers. Shoppers should head straight to Main Street, where the Millerton Antiques Center houses 35 dealers selling everything from fine European art and Oriental rugs to old furniture and books. After spending some time there, continue down Main Street, where Hunter Bee and B.W.’s Eagle Eye are two other favorites antique shops. 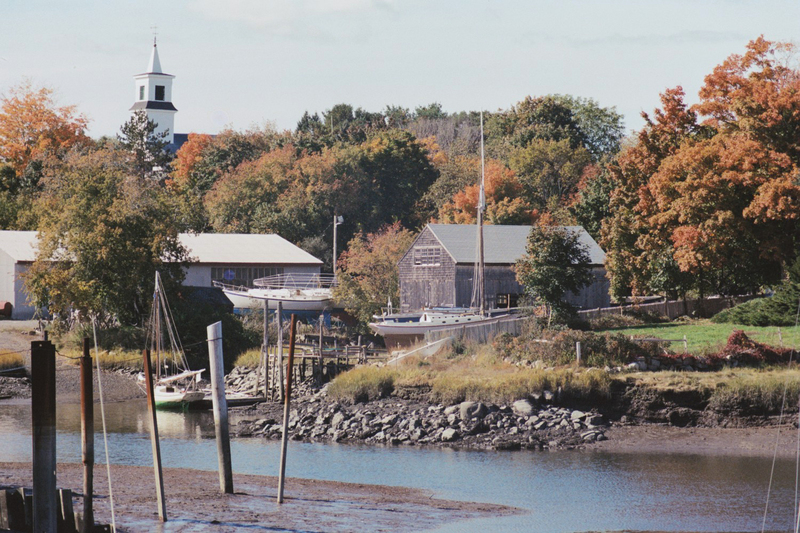 It’s no wonder that a village as picture-perfect as Wiscasset, Maine would be a mecca for antique lovers. Begin your journey along the Sheepscot River at Water Street Antiques, which seems to specialize in Americana. Here, you will have your pick of fine weaponry, books, and folk art. Just across the road is Michael Dunn Antiques, a favorite of curators from such museums as the Metropolitan Museum of Art and London’s Victoria & Albert Museum. Antique lovers looking for fine china will be pleased with the selection at Patricia Stauble Antiques, while those looking for paintings should check out Wiscasset Bay Gallery. Situated in Lancaster County, Adamstown is home to more than 20 antique stores. Stoudts Black Angus Antiques Mall, filled with antique furniture, various collectibles, and vintage jewelry, is the perfect place to start a treasure hunt. Just down the road is the Mad Hatter Antique Mall where more than 100 dealers set up booths. If you can, try to pair your trip to Adamstown with the town’s periodic sales event, Extravaganzas, when many area antiques dealers bring out exclusive items and offer a sizable discount. Located at the foot of the Blue Ridge Mountains, Buchanan is a small town that has long attracted antique lovers searching for the premium stuff. Buchanan’s Main Street is better known as “Antiques Alley,” and features a whopping five antiques outlets. The Barefoot Peddler, a family owned and operated shop that specializes in painted furniture and wall decor, is a great place to start. As you make your way down Antiques Alley, be sure to pop into Purgatory Emporium, a newish outlet with more than 40 vendors. Antique lovers based in Chicago have long favored the antique stores in little Galena, Illinois. No matter what you like or are looking for, the myriad antique shops on Main Street are sure to have it. For smaller finds, such as rare toys, cameras, and general knick knacks, pop into All That’s Vintage. Just down the road is Gustafson & Grey, a well-stocked store specializing in fine old jewelry, and Peace of the Past, where you can have your pick of books and other collectibles. Finally, lovers of both antiques and jewelry cannot leave Galena without visiting Rustic River Finds, which has made quite a name for themselves by repurposing unique stones and gems into fine jewelry. From its bed and breakfasts to its historic inns, everything about Stillwater, Minnesota is quaint and charming. Not surprisingly, Stillwater is a popular destination for those who love old things, and the town accommodates its history aficionados with plenty of antique stores and outlets. On Main Street, American Gothic Antiques is two full floors of independent dealers featuring a variety of goods — though Civil War memorabilia is a specialty. 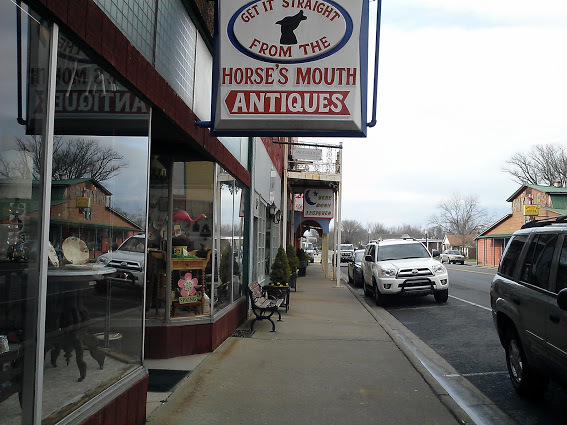 Across the street are Midtown Antique Mall, specializing in historic furniture and rare collectibles, and Let There Be Light Antiques, where more than 500 vintage light fixtures are sure to brighten up your treasure hunt. Despite its population of fewer than 800 people, tiny Walnut, Iowa is home to dozens of antique shops, markets, and malls. The city is known as “Iowa’s Antiques City,” a title residents take very seriously. Each June, Walnut celebrates a town-wide antique show that attracts dealers from across the country. But there’s no need to fret if you can’t make it to Iowa in June. The Vintage Bulldog — which specializes in such treasures as classic cameras, old radios, and vintage fans — is a great place for an antique lover to visit at any time of the year. For even more selections, pop into The Barn Mall, an actual barn where 34 vendor booths take up the first two floors, and hundreds of vintage chairs can be found on the third. Hazel, Kentucky is home to 12 independent antique shops — a pretty incredible number considering Hazel has a population of only 410. Indeed, antique lovers from all over Kentucky and the southern region travel to Hazel to treasure hunt. State Line Ranch & Home is the go-to place for vintage country fashion (think hats, jeans, boots, and rodeo gear). Another must-visit is Blue Moon Antiques, which specializes in larger furniture pieces such as over-sized armoires and dining sets. The small town of Clinton, Tennessee is well known for two things: southern charm and antiques. Hugging the Clinch River, Clinton forms the hub of what antique lovers call the Clinton Antique Trail. 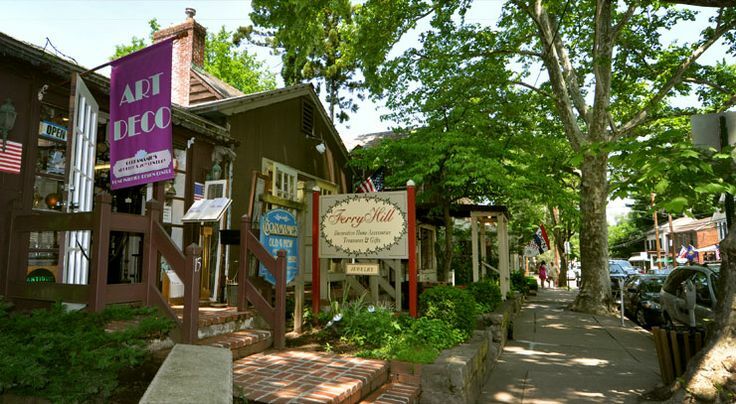 Start your own Clinton antique trail at Burrville Antiques, the oldest shop in the region, and pick your way through American, European, and Primitive furnishings and collectibles. Follow that up with The Antique Market, a 1900s-era building filled to the brim with antiques, primitives, and quality collectibles. If those two shops don’t exhaust you, you’re in luck, because the trail continues on for more than a dozen more stores. Located near Cape Ann on the North Shore, Essex is a bucket-list destination for any serious antique lover. Spend a weekend wandering around Main Street, where nearly 40 antique and specialty shops are ready for browsing. Treasures in Essex vary widely, from “one step above garage sale” to “one step below nationally televised auction.” Find Massachusetts-specific artwork and period furniture at A.P.H. Waller & Sons’, antique maps and other paper collectibles at All Prints and Maps, and vintage instruments and other musical items at The White Elephant Shop. 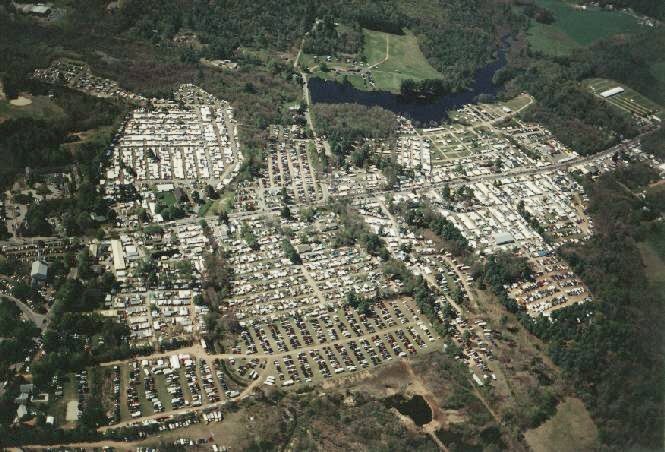 Brimfield, Massachusetts is home to one of the most famous flea markets in the world. Three times each summer (in mid-May, mid-July, and mid-September), more than 6,000 dealers set up tents across 23 former farm fields. Photographs, furniture, vintage clothing, and more are all available at rock-bottom prices, and haggling is practically encouraged. You can easily spend a week shopping Brimfield, and many antique lovers do just that. Fun fact: the Brimfield Flea Market is a common setting for HGTV’s Flea Market Flip. 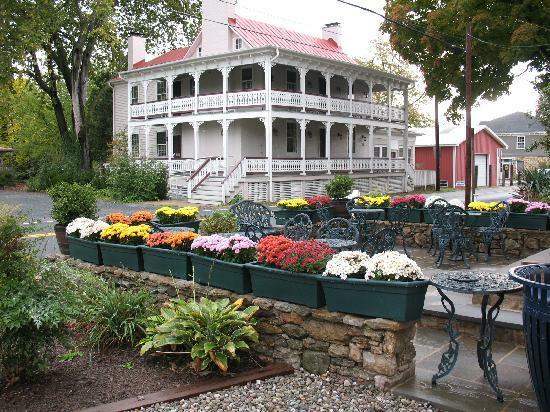 Located at the southernmost tip of the Berkshires, Sheffield, Massachusetts is home to nearly 30 antique dealers. A pilgrimage to Sheffield is worth the trip for serious antique lovers or those looking for museum- and auction-quality wares. Pop into almost any of Sheffield’s antique shops and you’re likely to find everything from Americana, to military memorabilia, to Georgian English furniture, classic silverware, old weather vanes, and even unique birdhouses. 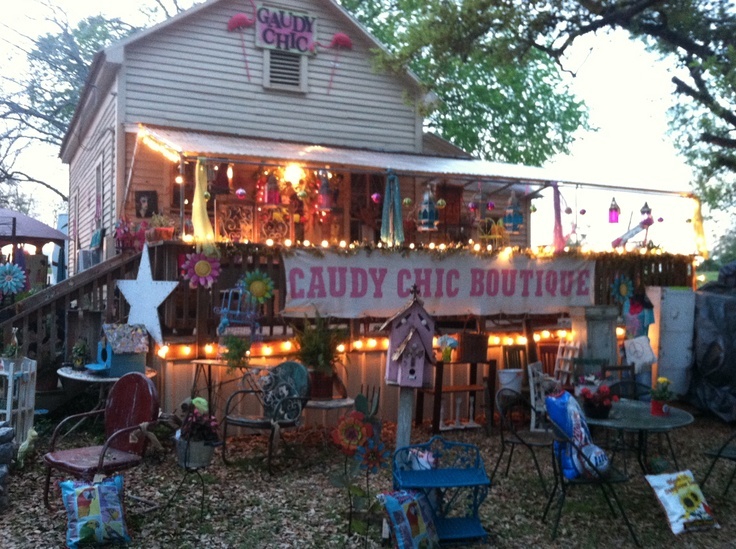 Must-visit shops include Painted Porch Antiques and Silver Susan Antiques on Main Street. Spend a day or a week traveling Cape Cod on Route 6A, and you’re likely to find just about anything you want in the area’s many antique stores. Cape Cod, a Regional Historic District, is chock-full of history from its days as a stagecoach route, and as a result every single Cape Cod village seems to be lined with scores of antique shops. If you have only one day, head straight to Brewster for the largest concentration of shops with a variety of specialties. The “antiques capital of Connecticut,” Woodbury’s fame as a mecca for antique lovers has been helped along over the years by the fact that Martha Stewart is a regular shopper there. But celebrity connections aside, head to Main Street for a fantastic selection that includes more than 30 respected dealers. Woodbury is best-known for its really high-end pieces, especially furnishings dating back to the 18th and 19th centuries. To find that really special piece, we suggest making a visit to G. Sergeant Antiques, a long-time favorite of serious collectors and various museum curators. Part of New Hampshire’s famed “Antique Alley,” quaint and charming Portsmouth, New Hampshire is home to half a dozen antique and specialty shops. 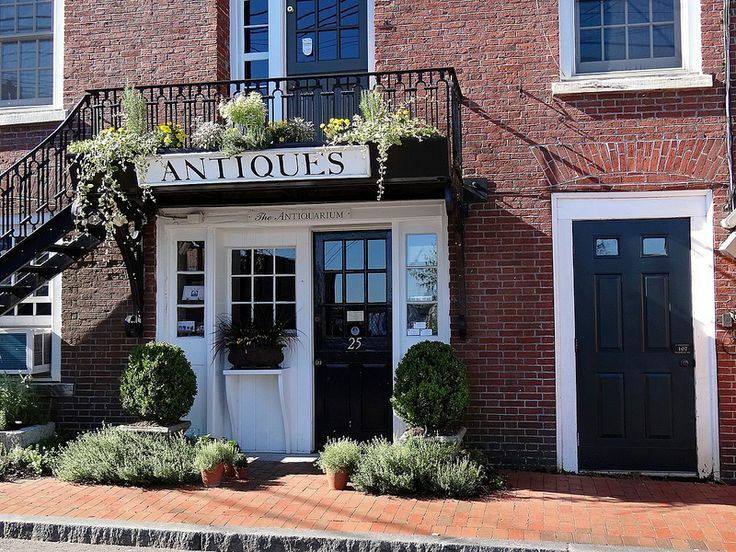 Portsmouth is a favorite of East Coast dealers and collectors, so antique lovers willing to haggle are sure to find a good deal. For Americana, folk art, furniture from various eras, rare collectibles, and more, be sure to check out the Odd Showroom and Old as Adam. If you haven’t exhausted yourself after Portsmouth, take a picturesque drive 25 miles northwest on route 4 to Northwood, another charming small town with nearly a dozen bigger antique malls. Located between Pittsburgh and Washington, D.C., two of America’s most historic cities, little Canonsburg, Pennsylvania is easily one of the best East Coast destinations for antique lovers. 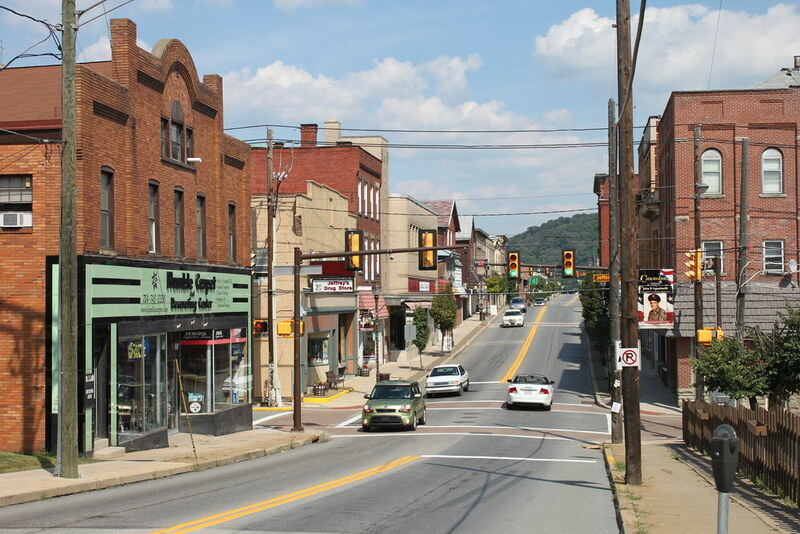 In fact, Canonsburg has more antiques per square mile than most major cities! 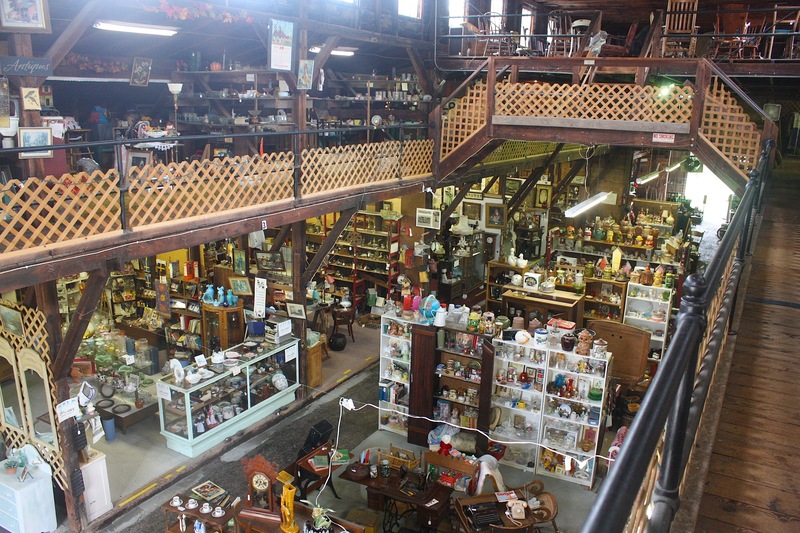 Begin your weekend –or week– of antiquing with some bigger antique malls like Antique Junction, Rt. 19 Antique Mall, and the Tri-State Antique Center. End your day with a little more fun by popping into Where the Toys Are and reminiscing over old and rare toys. You might need a full week to get through Frederick, Maryland’s 200-odd antique dealers and stores. Fortunately for antique lovers on foot, all of those stores are within eight blocks. For those with a time limit, head straight to East Patrick and East Carroll streets, where most of the antiquing action is. 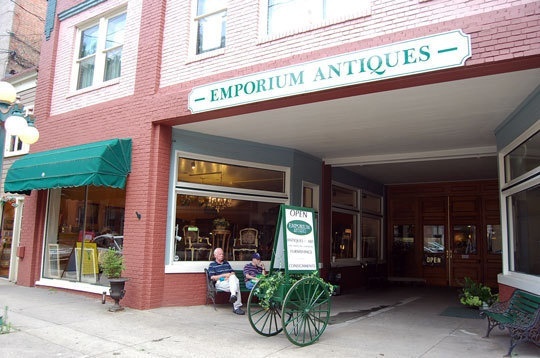 Emporium Antiques is a 55,000-square foot antique mall with more than 100 dealers selling everything from Fiesta Ware to Civil War relics. For higher end pieces (and higher prices), make a visit to Silk&Burlap or Relish Decor, the latter of which specializes in china and other glass pieces from England and France. 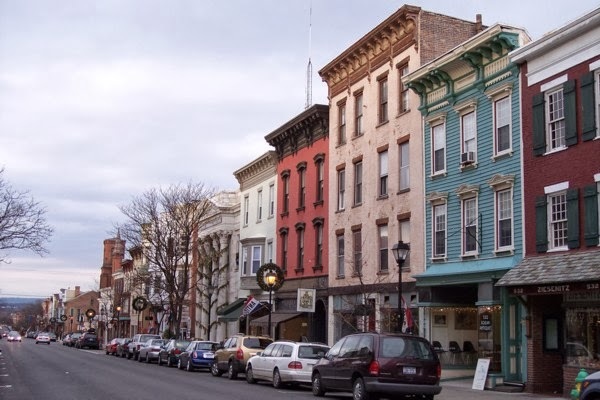 Hudson, New York has long been a favorite weekend destination for history buffs and architecture aficionados, but this small town in the Hudson River Valley is also a favorite destination for antique lovers. Most of Hudson’s 60-odd antique shops are located around Warren Street, a once run down area that has experienced a major comeback in the form of an antique treasure hunt. Each shop is full of an eclectic variety of historical pieces, so most antique lovers choose to window shop their way down Warren, stopping to look further at whatever may strike their fancy. Good luck finding Locust Valley, New York on any maps of major antique routes — which is exactly why this small Long Island town is worth a trip for any antique lover. While most treasure hunters head further east to towns like Port Jefferson, Locust Valley is home to a number of antique stores with lower prices and a far less picked-over selection of excellent antiques. For the best selections, head to Finer Things and Early & Co Incorporated on Birch Hill Road, or Forest Avenue for shops like Bell Wether Antiques and Epel Company. New Market, Maryland is a small town with a long history thanks to the fact that it’s been a stop on the National Road trade route since the 1700s. Luckily for antique lovers, this long history means a lot of great antique pieces and historical finds. Head straight to Colonial Main Street which is lined with stately historical buildings and colorful antique stores. Favorites include 1812 House and Robert Esterly Antiques, the last of which specializes in custom-made furniture and restoration. Love 20th century antiques and anything mid-century modern? Then don’t miss out on Springfield, Ohio, where a weekly antiques market is one of the best spots in the country for anything and everything Middle America. Quilts are in especial abundance, as are 20th-century pottery and glassware, motorcycle accessories, vintage clothing, and repurposed jewelry. Check the Springfield market’s website for an updated schedule, and try to make it to Springfield during one of the market’s three yearly special shows, where dealers knock down prices and bring out even more goodies. Another mid-West gem for antique lovers is Covington, Indiana. 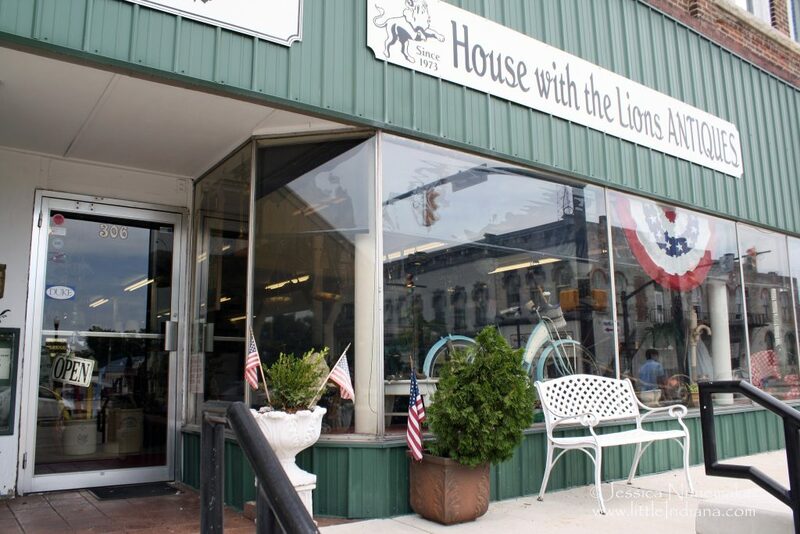 Though the small town has a number of antique shops worthy of your time, a visit to the House With the Lions may alone be worth the trip to Covington. One of the best antique shops in the central states, House With the Lions is located right on the downtown square, and has long been the go-to venue for anyone looking for quality art and collectibles. While you’re in town, check out other great antique shops like Hole in the Wall, Gloria Bee Antiques, and Master Pieces Antiques. A true Midwest country town, Amherst, Wisconsin is situated among rolling hills and winding rural roads. Head straight downtown where you can’t miss the massive antiques mall. The mall, housed in a Victorian mansion built in 1870, is bursting at the gills with antiques covering all ranges of price, quality, and era. You’ll need the better part of a day to dig through all of fine art, glass, jewelry, furniture, tools, fishing items, sports memorabilia, old advertisements, clocks and watches, toys, first edition books, and light fixtures, among so much more. Best of all, the mall is owned and run by true history and antique lovers, so ask about an item and prepare yourself for a genuine and detailed answer. Besides being part of a fun and beautiful drive through the Blue Ridge Mountains, tiny Sperryville, Virginia is a great destination for antique lovers. One of the more unique antique houses in the region is Schoolhouse Antiques, a — you guessed it — former school. The former classrooms are all individual dealers’ booths, and the 8,000-square foot former gymnasium is full of furniture, lighting fixtures, and rugs at rock-bottom prices. If the Schoolhouse isn’t enough for you, located just behind it is Copper Fox Antiques. A former cold-storage apple facility, Copper Fox is 30,000 square feet of vintage pieces, rare books, collectibles, and estate furniture. Though Sonoma, California is best known for its wineries, it is also home to hundreds of antique dealers and quaint antique shops. For the most selection, simply follow the eight miles of Highway 116 known as “Antique Row.” All along this route you will find treasures ranging from old furniture and milk glasses to lighting fixtures and vintage farm crates old radios and vintage clothing. 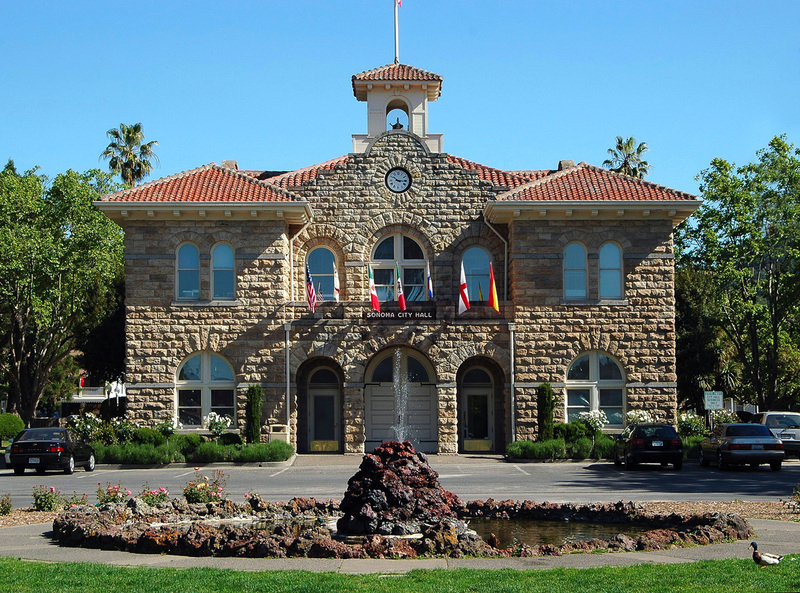 And if Sonoma’s antique stores don’t exhaust you, the small town is a hop, skip, and jump away from other charming Sonoma antique towns, including Sebastopol and Healdsburg. Head to Round Top, Texas in early April and October and experience the nation’s most successful antique fair: the Original Round Top Antiques Fair. During the festival, more than 400 American and European dealers showcase everything from old furniture to rare collectibles. But don’t despair if you aren’t in Round Top during festival season. 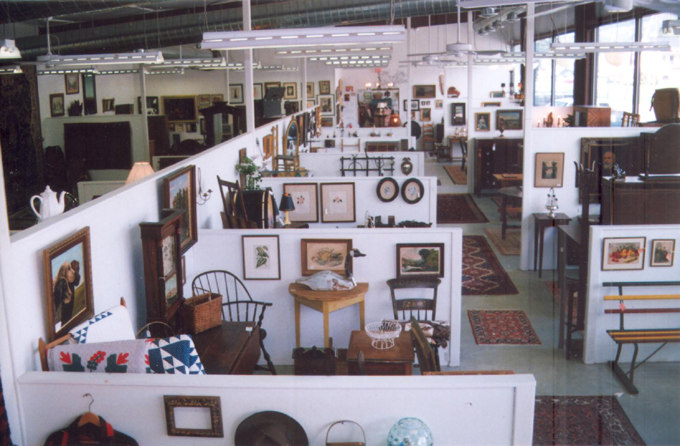 Smaller, but still excellent, shows pop up during nearly every other month, while the nearby towns of Bellville, Brenham, Columbus, Fayetteville, Flatonia, and La Grange are also well-known for their antiques scenes. The quaint Southern city of Asheville, North Carolina is home to more than 30 antique stores selling everything from European and American pieces, to art and pottery, to Appalachian folk art. Asheville is a uniquely walkable town and most of its antique stores are located around the downtown area. Favorites include Screen Door, LOFT, Lexington Park Antiques, MIX Vintage, and Oddfellows Antique Warehouse. For even more selection, sync your weekend trip to Asheville with one of the town’s eight to 10 yearly Brunk Auctions.